Represented by recent events taken by Xi'an International Trade and Logistics (ITL) Park, Xi'an is striving to build a Belt and Road logistics hub city that will connect major domestic urban areas. According to the "National Logistics Hub Layout and Construction Plan" formulated by the National Development and Reform Commission and the Ministry of Transport of China at the end of 2018, China has selected 127 cities with certain basic conditions as national logistics hub cities, including Xi'an. Located in southwest China, Xi'an has the shortest average distance and the lowest average cost to major cities across the country. To date, the supply goods of 15 provinces, autonomous regions, and municipalities, such as Gansu province, Shandong province, and Shanghai municipality, has been collected and distributed in Xi'an Port in ITL Park. With the interconnection of Xi'an Port with Lianyungang Port, Ningbo Port, Guangzhou Port, Qingdao Port, Tianjin Port, and other ports, Xi'an has achieved connectivity with the Yangtze River Delta, the Pearl River Delta, and the Beijing-Tianjin-Hebei region. 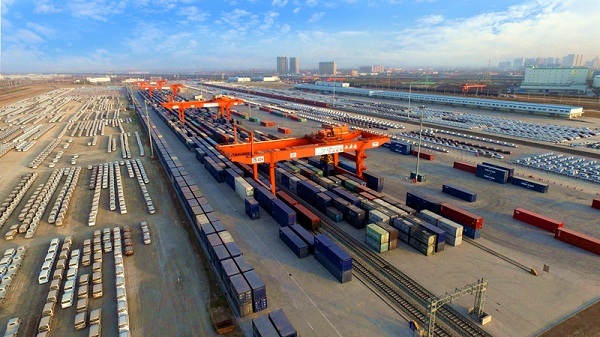 In the future, ITL Park will speed up the construction of its logistics service platform to strengthen the cooperation between Xi'an and Xi'an Port with the inland provinces, coastal ports, border ports, and major enterprises, contributing to the construction of the Belt and Road.